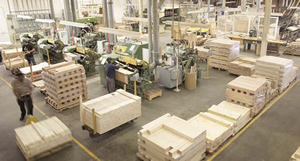 Our customers include manufacturers in the Contract, Healthcare, Hospitality, Institutional, Office and Residential Furniture Industries. We assist them in creating unique seating components; show-wood and upholstery frames; turned, tapered and cabriolet legs; table bases; roped, fluted and reeded accent pieces. 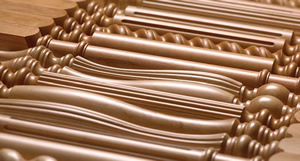 We work with Architectural Millwork Houses, Kitchen Cabinet Manufacturers, Stair and Railing Builders to supply turnings, legs, balusters and newel post profiles from our extensive standard inventory. We also manufacture custom profiles for balusters, newel posts, kitchen island turnings, legs, mouldings and trim accents. Put us to the test! Technical consulting to value engineer your products. 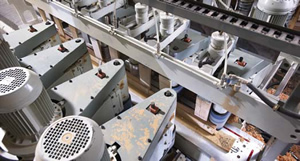 Efficient medium and small-sized production runs at competitive costs. (Large batch production no longer necessary). Quick turnaround time for quotations. High quality components at competitive prices, manufactured to your exacting specifications. Quick turnaround for standard and custom components in any quantity to keep your inventory low. Continuous product development and process improvement. The latest in manufacturing technology; CNC routers, linear shapers, cutting equipment, drilling machines, turning and carving machines, results in faster deliveries and superior quality products. Highly skilled work force due to on-going training programs.